Performers include: Sean Bean, Ali Larter, Morris Chestnut, Amber Valletta, Mason Cook, Tina Majorino, Rob Mayes, and Steve Harris. This suspenseful crime drama is based on the award-winning book Legends: A Novel of Dissimulation by spy novelist Robert Littell. 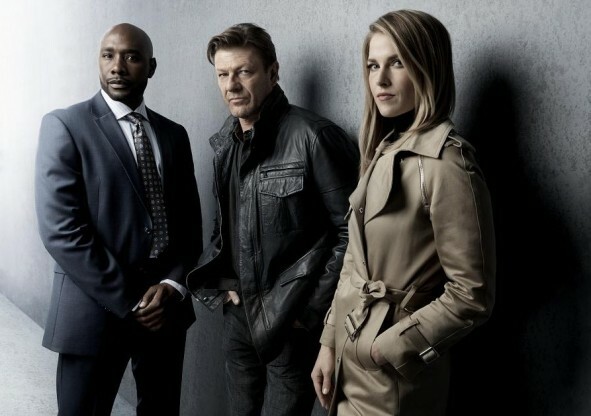 Martin Odum (Sean Bean) is an undercover agent working for the FBI’s Deep Cover Operations (DCO) division. He has the ability to transform himself into a different person for each of his cases but a mysterious stranger causes him to start questioning his sanity. His Agency workmates include Crystal Quest (Ali Larter), a fellow operative who has a history with Martin; Tony Cimarro (Morris Chestnut), a smart, quick-witted and charming DCO agent; Maggie Harris (Tina Majorino), the newest member of the DCO team; and Nelson Gates (Steve Harris), the director of the DCO Task Force. Sonya Odum (Amber Valletta) is Martin’s ex-wife and they have a pre-teen son, Aiden (Mason Cook). In present day Prague, Martin makes a deal with the Russians to rescue Kate. Meanwhile, President Arsanov’s plan for Kate is moving forward in Chechnya. Gabi struggles to decide what to do about her husband. In 2004, Dmitry asks one last favor of Terrence. And in a flashback to 1972, the last pieces of the puzzle to understanding Martin Odum’s true identity are revealed. First aired: December 28, 2015. What do you think? Do you like the Legends TV show? Do you think it should have been cancelled or renewed for a third season? Yeah really 3 episode right now hooked I but saw 2 season. Very short season hope others ones out there same story need another show out there enterniment world. Another strong but underrated storyline, of a genre that is sorely lacking on the small screen. And Bean hasn’t been killed off in the first couple of episodes. Really deserves to be reconsidered and kicked back into life.